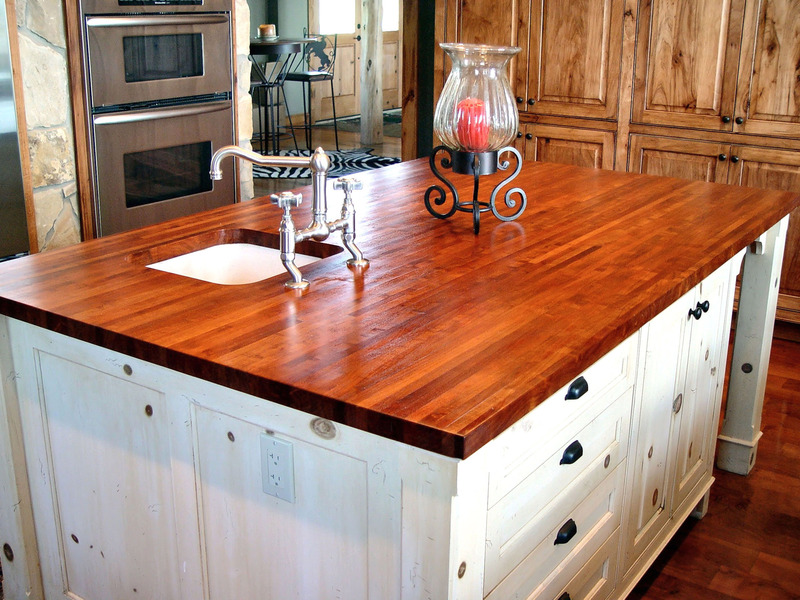 It’s hard to beat the natural warmth and character of wood. 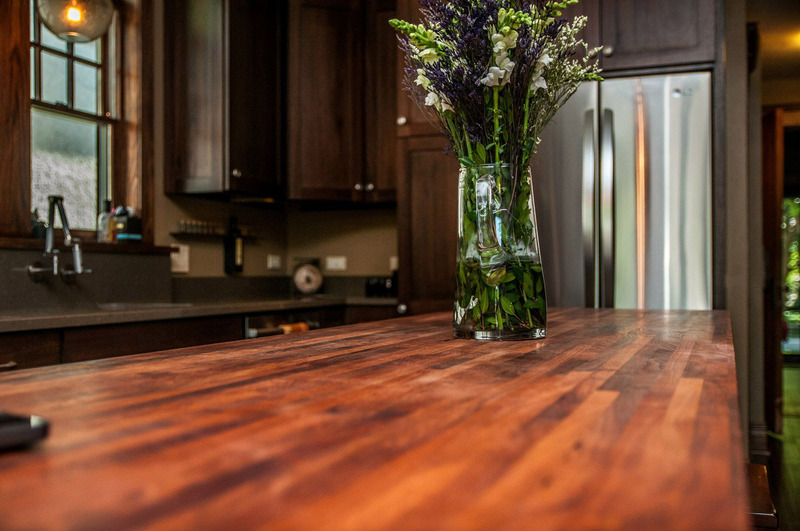 Choose from Texas woods such as Mesquite, Texas Walnut, and Texas Pecan. 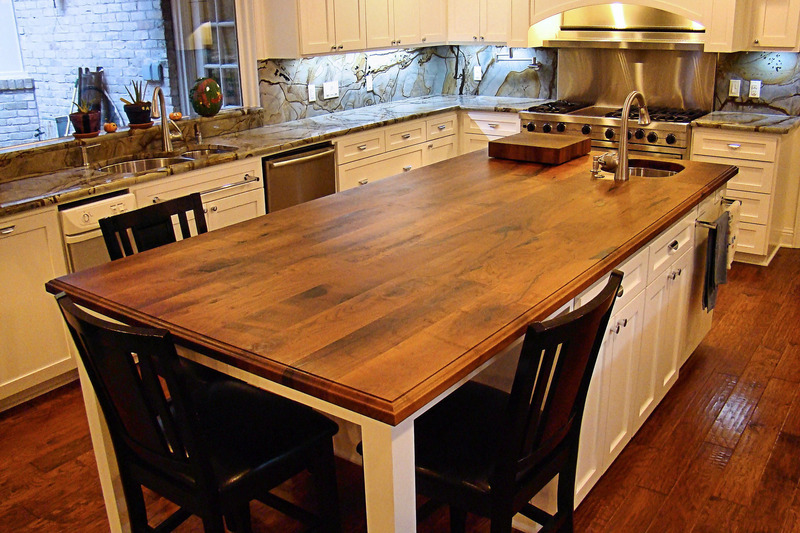 We also design with specialty woods like Spalted Maple and Spalted Pecan. 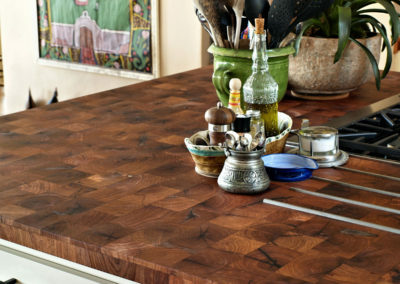 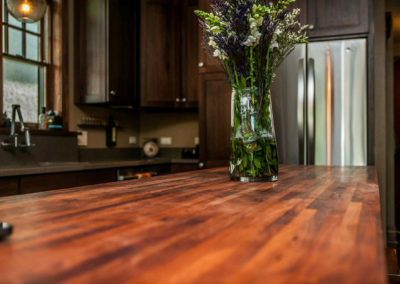 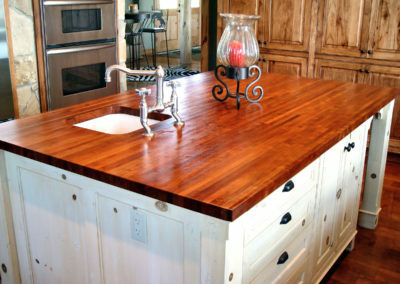 Natural wood countertops and their wide array of choice is sure to enhance your decor whether it be English traditional or Scandinavian contemporary; Country French or American farmhouse. Couple this with your choice of the wide number of custom edges and your custom wood kitchen countertops are sure to be as unique as you! 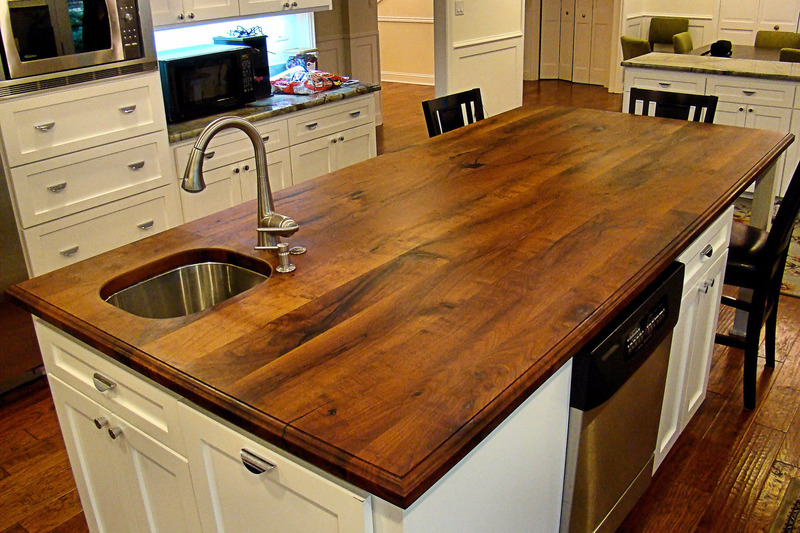 Each countertop is individually hand crafted. 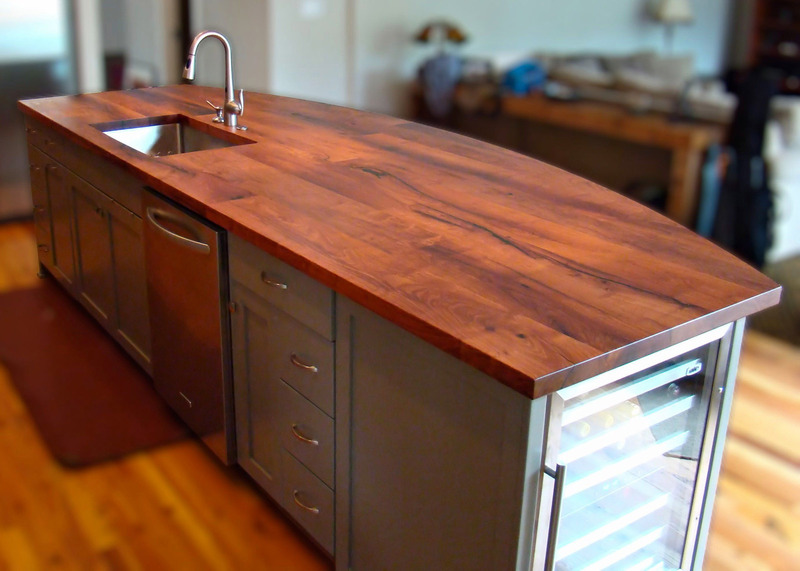 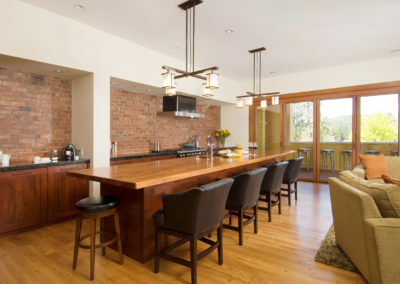 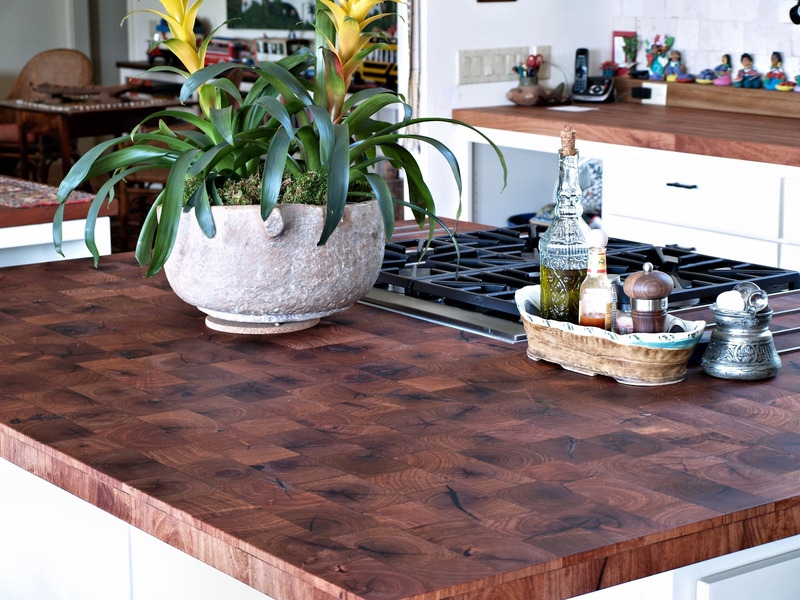 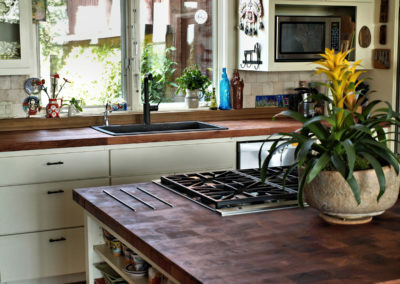 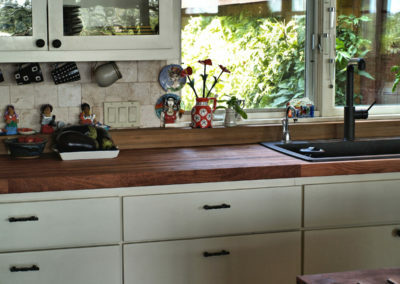 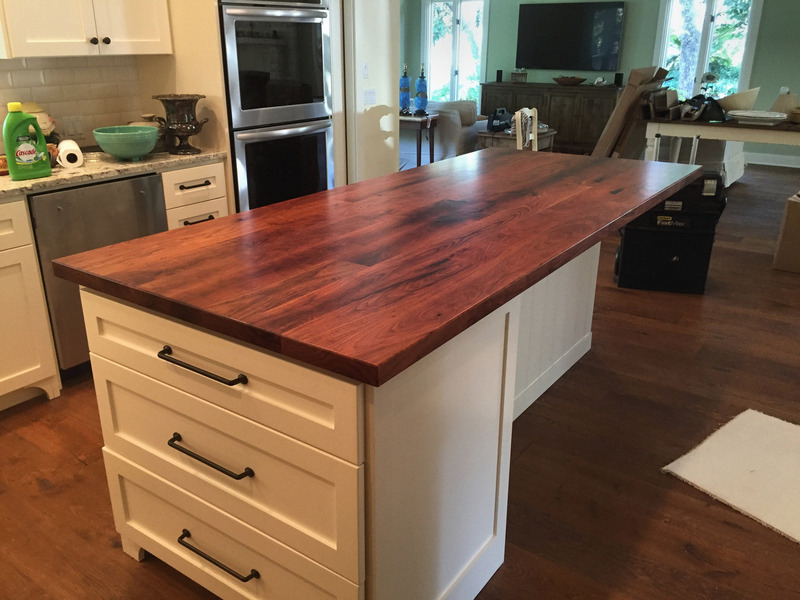 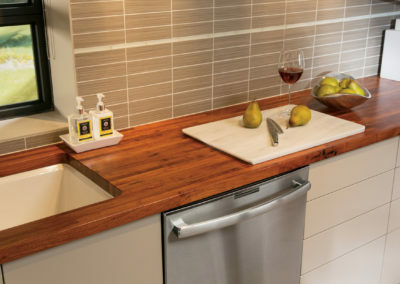 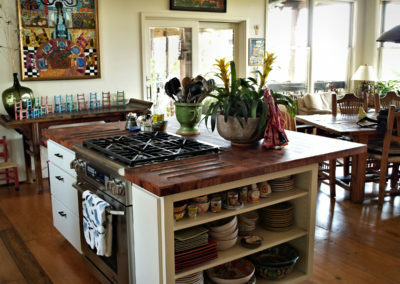 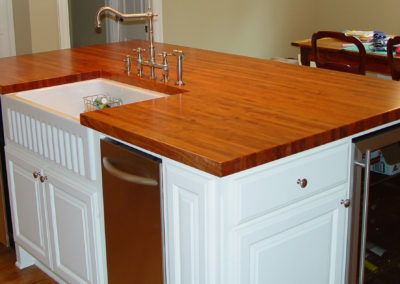 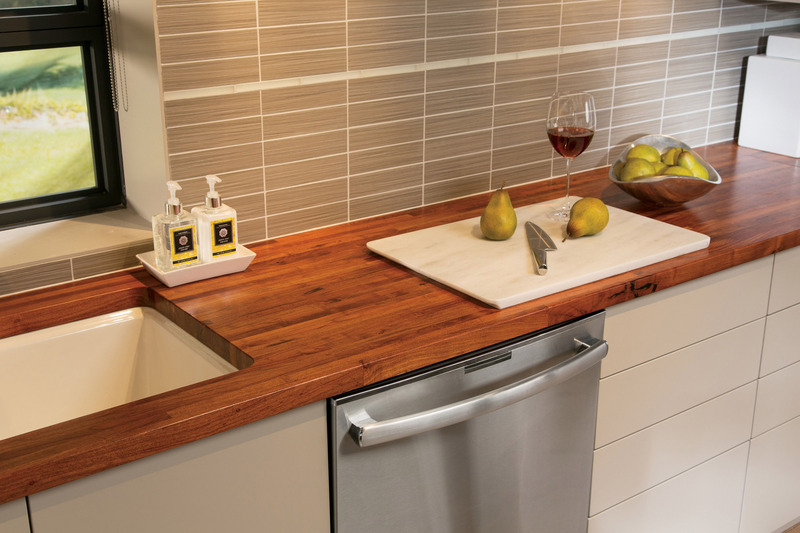 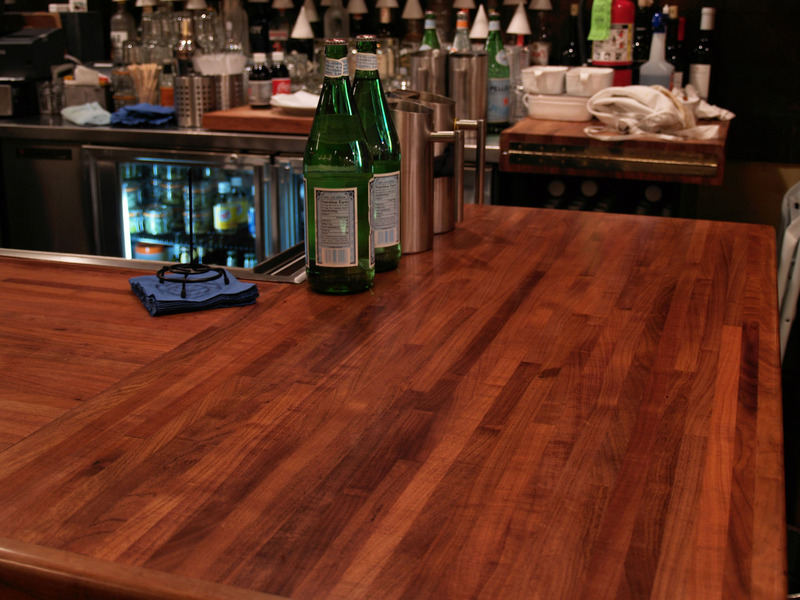 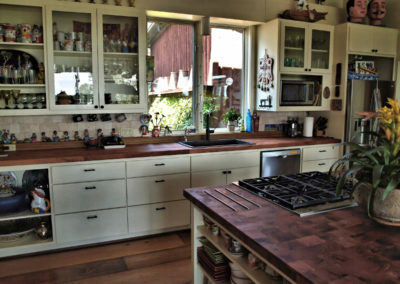 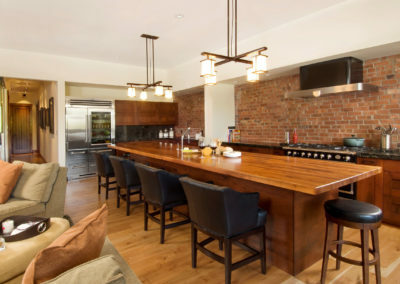 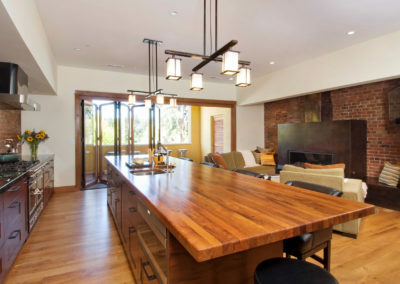 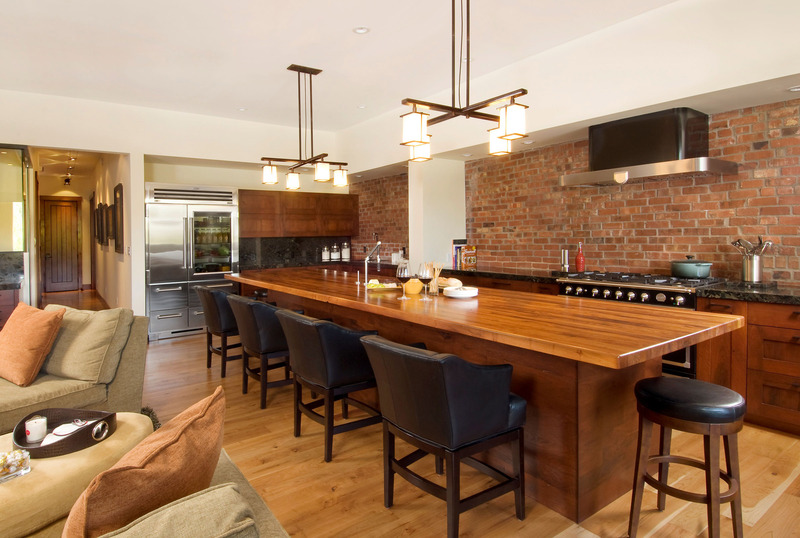 We enjoy working with clients to choose wood countertops that are unique and functional. 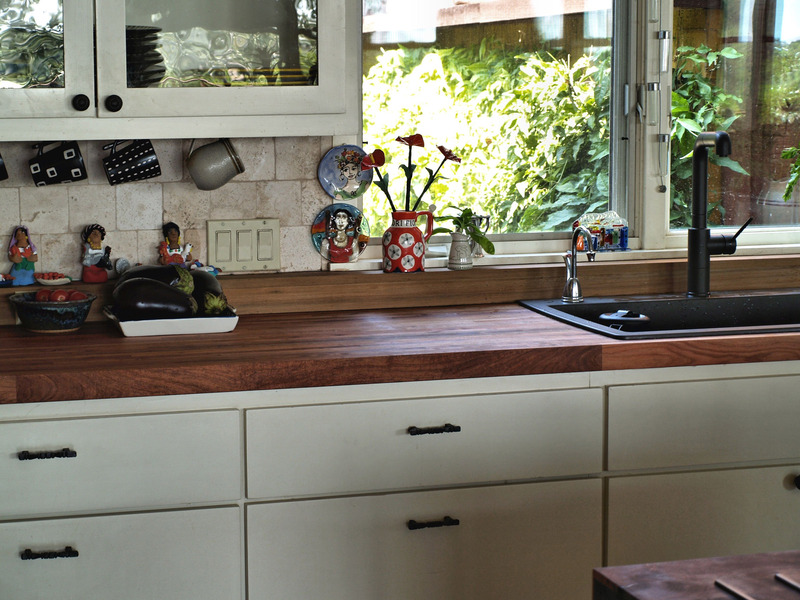 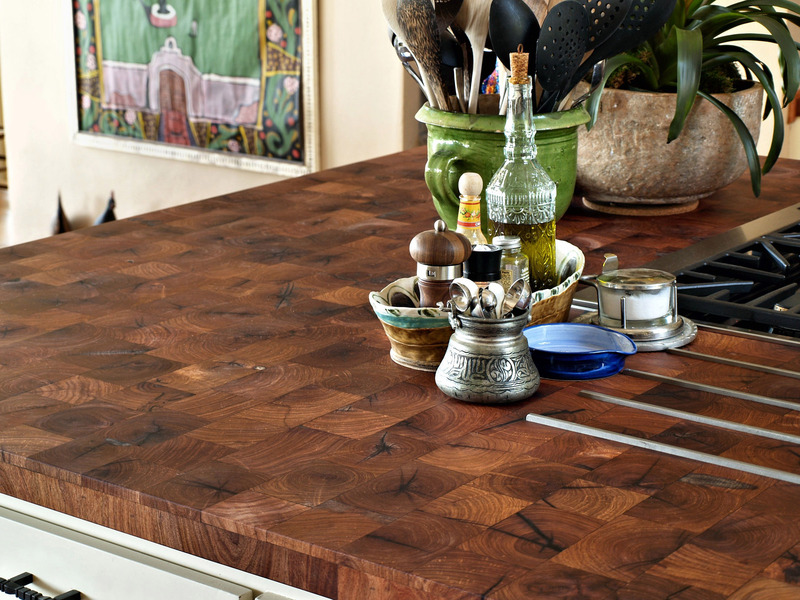 Wood countertops create a focal point. 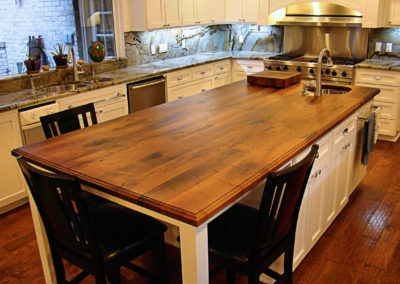 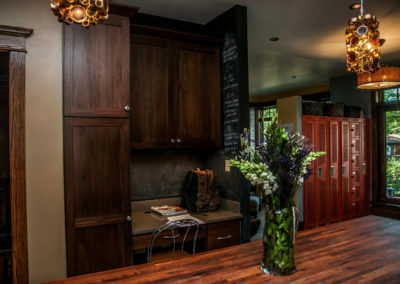 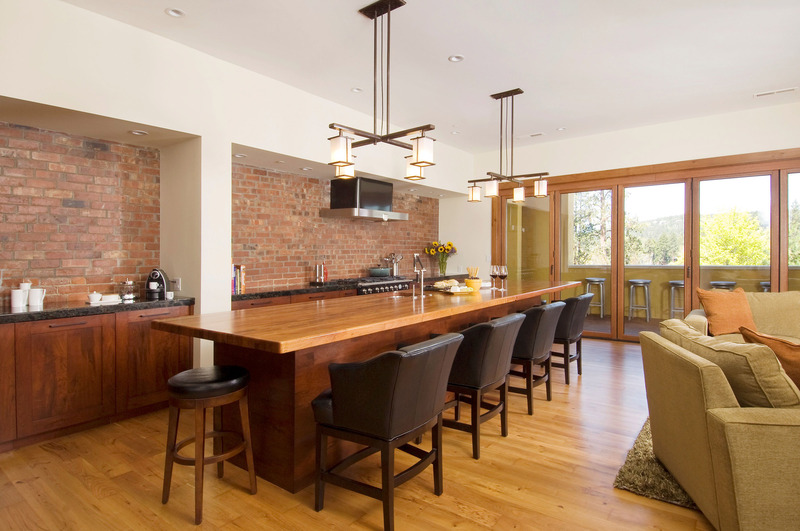 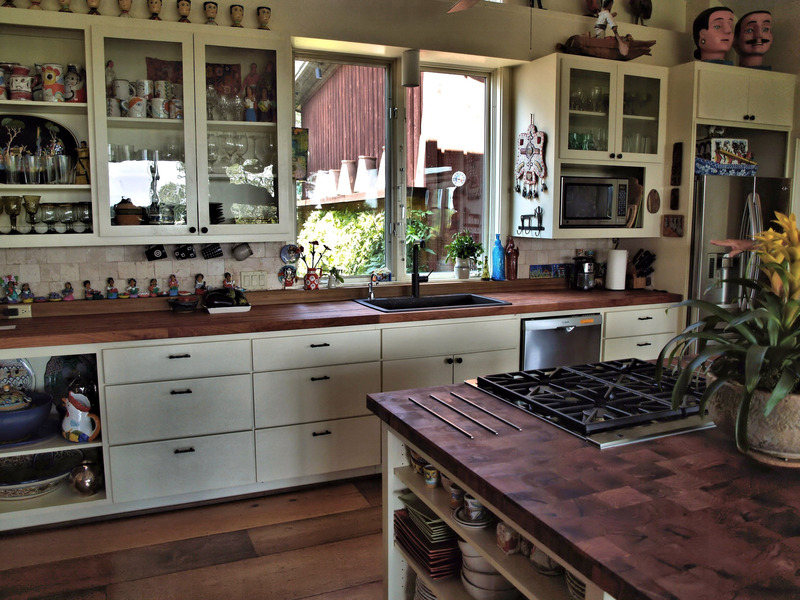 Mixing and matching different woods or construction styles enhances the design of a kitchen. 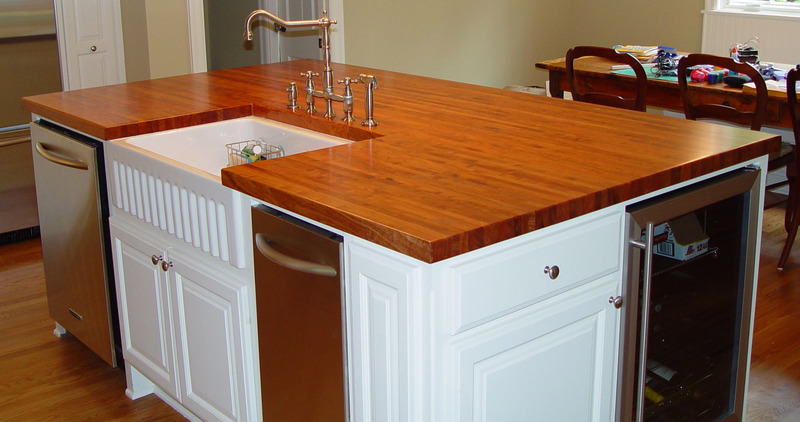 Mixing face-grain, edge-grain, and end-grain surfaces in a kitchen highlights the variation of colors and qualities of the wood. 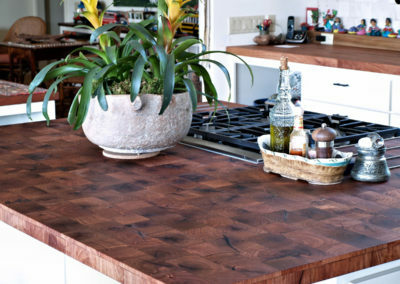 Face-grain construction highlights the natural ovals and swirls of some woods and brings out the uniformity of grain in others. 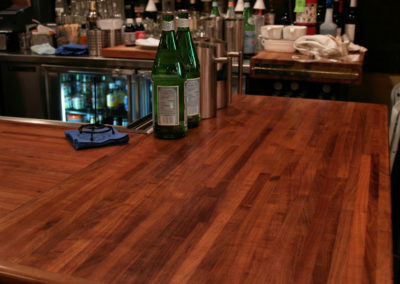 Edge-grain construction provides a striping effect showing mostly vertical (straight) grain lines and brings out the variation of color in a wood. 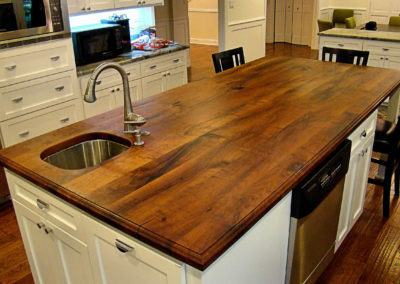 End-grain construction uses square or rectangular shaped blocks which are arranged so the end of the wood (the growth rings) are visible on the surface of the top. 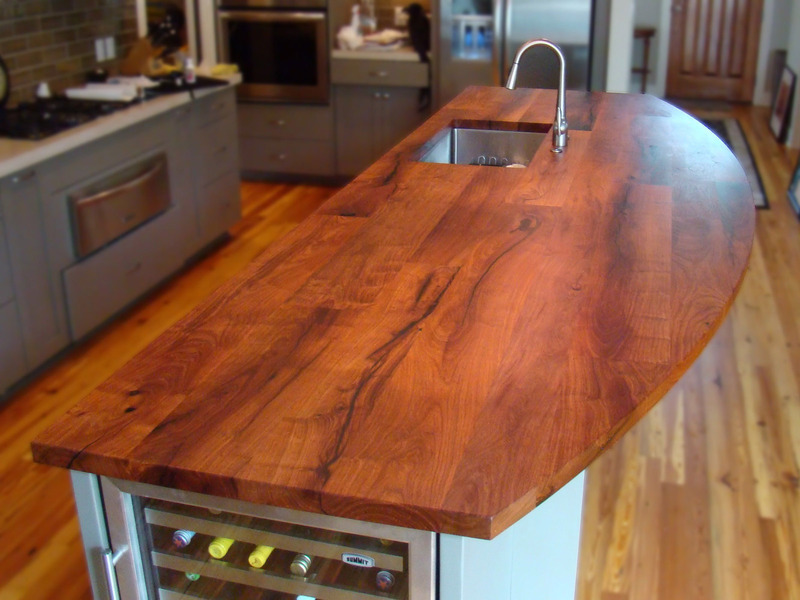 This produces a symmetrical pattern to the top.